Lifestyle & design store Cat Socrates has two locations in Singapore, one within Bras Basah Complex (231 Bain Street) and another at Joo Chiat (448 Joo Chiat Road). 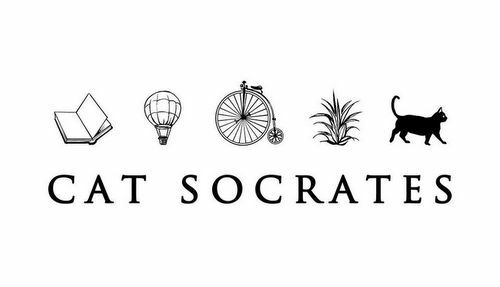 Established in 2008, Cat Socrates is an independent lifestyle shop that offers a wide variety of well-designed products for your daily needs. The stores’ collection features books & paper paraphernalia, home decoration, kitchenware & furniture, fabric & sewing accessories, plants & pots, bags & fashion accessories, vintage memorabilia, and even bicycles & homemade jams. Cat Socrates continuously discovers new brands and designers from all over the world and brings their creations to Singapore, while also providing a platform for local designers and makers to showcase their work to a wider audience. The official Cat Socrates Facebook page is located at www.facebook.com/catsocrates/. You can also follow the official Cat Socrates Instagram account, which in turn is available at www.instagram.com/cat_socrates/.